Known for its down-to-earth, laidback beach vibe, Carolina Beach is the perfect place to visit in 2019. From outdoor excursions to live music events and creative dishes, the destination has something new to please each and every visitor for a beach vacation that’s extraordinary this year. On March 30, Carolina Beach State Park will host its annual Flytrap Family Fun Day – complete with flytrap-themed crafts, games and carnivorous plant hikes. Stargazers can embark on a fun, free family event to learn about the night sky and constellations during the Star Party on April 12. Finally, boat lovers won’t want to miss Marina Day at the Carolina Beach State Park Marina on May 11. Check out the classic, vintage boats on display, partake in safety demonstrations and vessel safety checks and learn more about the current trends in the boating space. 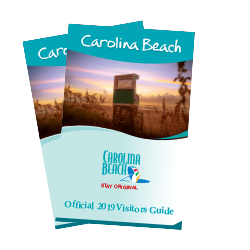 Starting in June, the Town of Carolina Beach will host guided tours of the historic Carolina Beach Boardwalk through August. Included on Budget Travel magazine’s list of America’s Most Awesome Boardwalks, a stroll on the Carolina Beach Boardwalk to experience classic seaside family fun, shops, restaurants, nightlife and more is a must-do for any visitor. The weekend before Labor Day, jam out at the Rock the Beach Festival on Aug. 24. Last year, hundreds of rock ’n’ roll fans attended the inaugural event held along the Historic Carolina Beach Boardwalk. 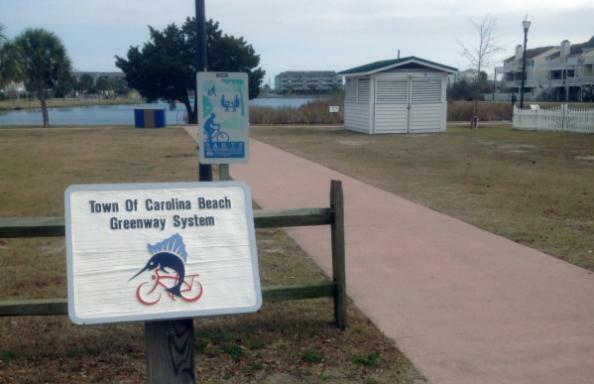 Slated for completion in 2019, the Island Greenway Project will result in a 1.2-mile paved path that will take pedestrians and bikers safely through town and connects Carolina Beach to Kure Beach. For anyone whose New Year’s resolution is to learn a new hobby, plan on visiting Tony Silvagni Surf School’s new location, which is slated to open by April 1. Learn how to ride the waves from pro surfer Tony Silvagni himself, who won the North American Pro Longboard title in Puerto Rico in November 2018. Not looking to test out your sea legs yet? The shop rents bikes, chairs, umbrellas and more, in addition to surfboards, paddleboards, bodyboards, skimboards and kayaks, all with free rental drop-off and pick-up. Paddle NC has also expanded its rental options to include bikes for those looking to travel by two wheels, as well as kayak and stand up paddle boards (SUP) rentals, instruction and tours. Discover a new and exciting boating experience – and give your legs a workout – with Sea Legs Pedal Pub. A skilled licensed captain steers while you and fellow boaters propel the vessel forward by pedaling through the scenic water surrounding Carolina Beach. Whether you’re looking for a relaxing boat tour for your family or a fun party cruise to celebrate your birthday, Sea Legs Pedal Pub is one of the most unforgettable and fun things to do during your next trip! From BBQ to burgers and beers, Carolina Beach has a handful of new spots to fill your taste buds this year. Both recently opened in 2018, Salt Fish Restaurant and Tiki Bar serves sea- and farm-to-table meals with Caribbean and Polynesian influences, while Soul Flavor Kitchen and Bar offers everything from fresh catch dishes to vegetarian, vegan and gluten-free options – all using the freshest possible Southern ingredients. Lake Park Steakhouse welcomes guests of all ages to indulge in delicious steaks and seafood, offering everything from filet mignon to pork chops or scallops. Make your own treat at Celtic Creamery with extra-velvety Irish ice cream and special confections using a choice of toppings, fresh doughnuts or cookies. The beloved BBQ restaurant featured on PBS and the Food Network, Carolina Smokehouse, moved from its original location in Cashiers, N.C., to the Carolina Beach Boardwalk in 2018. The new location now offers a rooftop bar with live music in addition to two floors of seating, along with its famous brisket, pork ribs and chicken. Beer fans will be excited to learn that Good Hops Brewing increased in size with new 7-barrel and 10-barrel fermenters, meaning bigger and better beer production for 2019! The local brewery also redesigned its Tap Room, made some improvements to its outdoor beer garden and added nine new holes of disc golf. Following a day of activities and good drinks and eats, rest your head at the newly-renovated, oceanfront Courtyard Marriott. The hotel is centrally located within easy walking distance of the marina and the boardwalk.